This themes support menu with unlimited child. After setup all menu, now you may have menu like image bellow. Manage Menu Location This theme devide Header Navigation Menu into 3 menu locations, Top Left Menu, Top Right Menu and Mobile Menu. After creating menu, you should assign menu in each location. 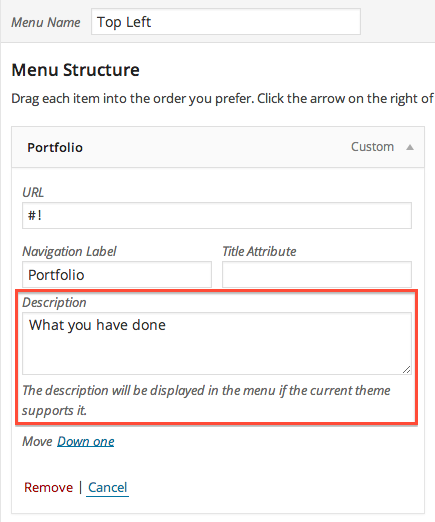 For Parent Menu, you may need to add Menu Description. To show Menu Description, click Screen Options and check Description. And now you can add description into Parent Menu.